I am struck this year, Spring of 2016 by the idea of Sangha. The Sanskrit term used to refer to community/home. Thich Nhat Hanh refers to Sangha as “the doorway”. The doorway to mindfulness, presence in the moment, intention, connection to ourselves, our community, and our home. The idea of the home comes in to play as we observe ourselves, our community, and the world around us. The old phrase…THE HOME IS WHERE THE HEART IS keeps coming into my mind. Sort of like a mantra. Nourishing our hearts, and taking care of our hearts in a multitude of ways, is a doorway of sorts to our happiness, our best selves, and our home. Today is April 7th. We are all one week into the yoga challenge and nourishment program. I have taken this first week to set my intention and set up a new routine of practice, nourishment, and the ever challenging cleanse. The Nourishment Program was designed by Kate Smith ND and Lauren Ward-Selinger ND, who practice at Prema Health. They have formed a brilliant month-long plan that starts with a multitude of self-care practices and then a multitude of cleansing practices. Their kind request of anyone doing the program was simply for people to take a look at their personal relationships to any number of things and substances that we rely on from day to day. Their approach was to give people a program in which the individual could decide how intense their cleanse would be. As an acupuncturist, I find great value in this gentle approach. I have never been a fan of extremes and definitely not when it comes to cleansing things out of our lives. The big dog for me is coffee. Ok, there, I said it. To say that I am a coffee lover is to say it lightly. If I honestly evaluate my relationship to coffee, I would say that I mostly just love it. It is not a love hate relationship. The other side of the coin is to question whether my body and soul love it as well. Some coffee can be just fine. I have noticed that as a professional caretaker, I often put my own needs on the back burner. This is a very common thing that happens for practitioners. I put all of my energy into my work and at times there is little left over energy to actually take care of myself. So, drinking coffee essentially all day long has not been uncommon for me at times. That is what this nourishment program is all about. In this first week. I am limiting coffee. No coffee in the afternoon. Next week I hope to cut my intake in half, and the following week no coffee for one week. This is huge! I have already noticed that my HEART is happier. I have much less nervous and substance induced energy and more grounded and more organic energy. I have been a bit more tired and some headaches, but I am sitting with it and meditating on it. Guess what? It’s going to be ok. I’m not going to die.. Ha! When I am in yoga, and I look around at all the people practicing, my heart is filled with joy! This is one time in life when I feel truly happy. 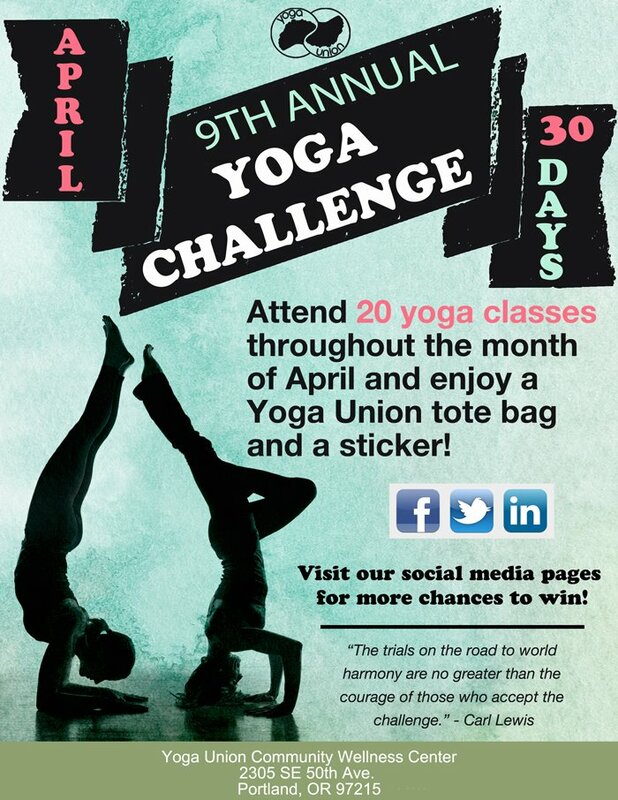 The community that has blossomed at Yoga Union is a phenomenon. This intentional community keeps growing and I believe it is because the intention for a better world is at the core of it. Yoga Union is filled with the energy of everyone holding each other up. Holding up and pushing up. A safe place where your heart can be full and your energy big. On the days when we aren’t feeling so full and big, it is also a safe place for reflection. So, we can also just be! What a lovely piece. I really enjoyed reading it and am a little jealous of this community and how loving and welcoming it seems to be. Hats off to you all.